You can find a lovely, private summer cottage or holiday home on the island of Langeland, a green beautiful island between The Great Belt and Funen surrounded by a lot of fresh water. In The Great Belt you can see a lot of big ships passing to and from The Baltic Sea. Island Langeland is quite special - it has many different landscapes, but everywhere it is green and peaceful with a lot of wonderful beaches with the blue flag, fine bathing and very good fishing in the fresh water. And you can find many holiday homes and cottages for rent. With a coastline of 140 km and a max broad of 10 km you can allways find an idyllic beach in a small bay or a place in a wood completely for yourself. The main city is Rudkøbing - a nice and cosy town with a yacht harbour, narrow streets and very old houses. All over the island are many small villages with holiday homes in former farmhouses and old houses. In the north is Lohals and in the south Bagenkop, both villages with a yacht harbour. Other villages with holiday cottages are Humble and Ristinge on South Langeland and Hesselbjerg and Tranekær on North Langeland. Tåsinge is a small island between Funen and Langeland. On Tåsinge you find the great castle Valdemar Slot and many cosy villages including Bregninge and Troense. Ærø is one of many small islands in The Small Belt. It has 2 towns Marstal and Ærøskøbing and a lot of small villages or collections of houses and is called the fairy tale island because of the many old houses with half-timbering and thatched roof. On Ærø you can find calm and rest from the busy life - here the busy modern life has not come yet. Rent a holiday house and some bikes and experience the peaceful and beautiful island in every moment of the day. The rental of the summer cottages happens lightly and uncomplicatedly. You find your private holiday cottage for a reasonable price among about 1.000 private holiday homes. You contact the owner of the summer cottage and arrange period and price. Probably he will like to have a deposit as acceptance of your agreement. Langeland is a wonderful place for a golf weekend or summer vacation for the whole family. 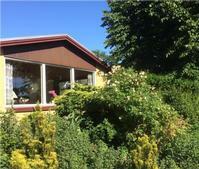 We wish you a very nice holiday in a private, cosy holiday home in Denmark - maybe on island Langeland! Holiday Centre Klinten. Spare more than 25% proportional to other flat keepers in the centre. Totally renovated flat. Free access to many facilities. Outdoor and indoor swimming pool. Option: 3-day rent. 5. day free. See more cottages on Langeland - find them by searching in the seach form above.